Antivirus testing lab AV-TEST has released new statistics, revealing that Microsoft’s Security Essentials ( Windows Defender in Windows 8) is once again "the baseline" of antivirus softwares available on the market, when it comes to protection from malwares. 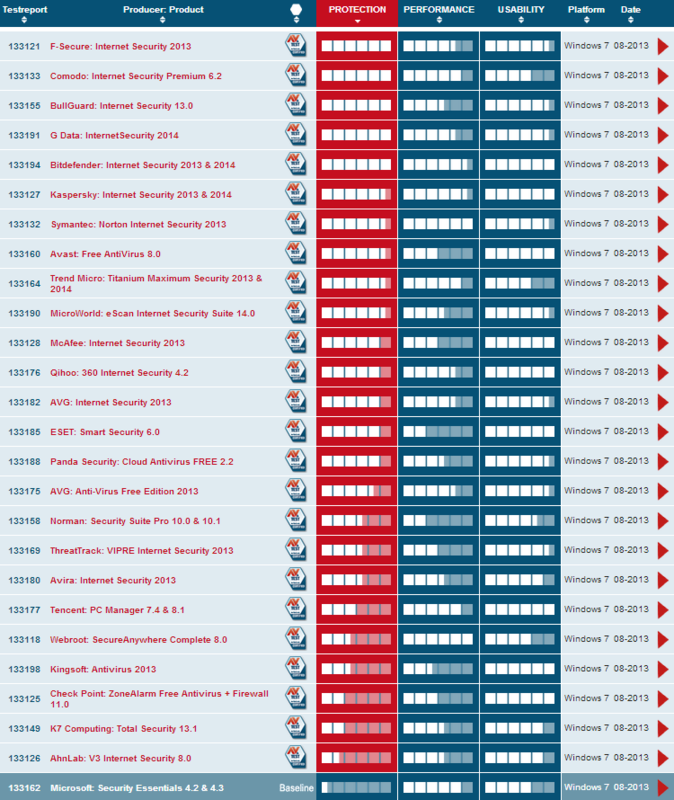 To get AV-TEST’s certification, an antivirus needs to get at least 10 points. But Microsoft Security Essentials (MSE) managed to achieve only 9.5 points. MSE got 0.5 points out of 6 for the protection, 5 for the performance when tested on Windows 7, and 4 out of 6 for the usability. AV-TEST is the only reason why I decided to disable Windows Defender and install Avast Free on my Win8 PC. What does the 'Performance' mean in this test? How fast the antivirus scans files or how much it slows down your computer? Good point, I am also confuse. I think how much it slows down your computer (how much resources it takes). Typical MS style, put something out than let it bleed to die. And for people who are relative new too the PC world: in part the virus problem from W95 to XP led to the "disaster" we now know as Vista and the sinking of project Longhorn. So MS should know better. You guys are forgetting that MSE is just one layer among many for Windows. MSE works with the Firewall, UAC, and if you're on Windows 8, the new SmartScreen filter to protect your system. If you're stupid, and turn all that off or down, then yeah, MSE isn't going to do much. I wanna see if they're using all these layers when testing MSE.